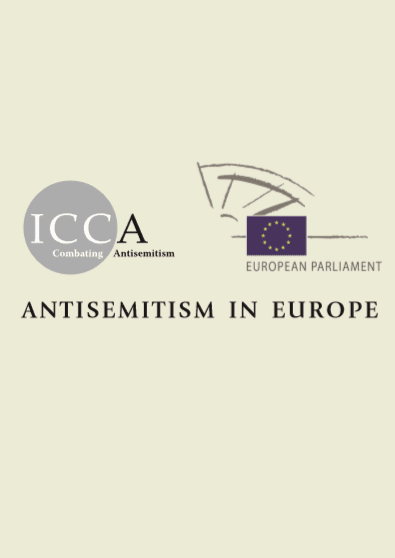 The Inter-Parliamentary Coalition for Combating Antisemitism (ICCA) is a network of parliamentarians from around the world that are leading the fight against global antisemitism. The network exists to share knowledge, experience, good practices and recommendations, encouraging dissemination in an attempt to deal more effectively with contemporary antisemitism. 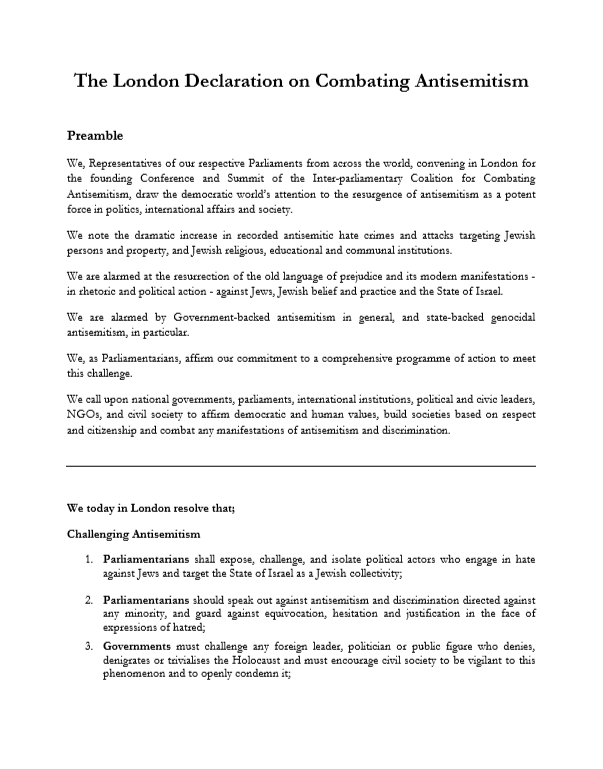 The founding document of the ICCA network, the London Declaration set out a number of resolutions resulting from the ICCA’s inaugural conference in London. World leaders and parliamentarians from across the globe have signed the declaration. The Ottawa Protocol was a successor publication to the London declaration agreed at the ICCA’s second major conference in Canada. The ICCA’s third international conference took place in Berlin and was addressed by the German Chancellor. The ICCA established an Internet Hate Task Force. This consisted of parliamentarians together with leading experts in the field of countering cyber hate and representatives of the internet industry. That task force inspired the creation of a permanent Anti-Cyberhate Working Group which unites all interested parties in a common effort to address cyberhate in a collaborative working environment. The task force report was published and an agreement on ‘Best Practices’ emanating from the Working Group was published by the Anti-Defamation League. As part of its activities, the ICCA held a policy conference in Europe. 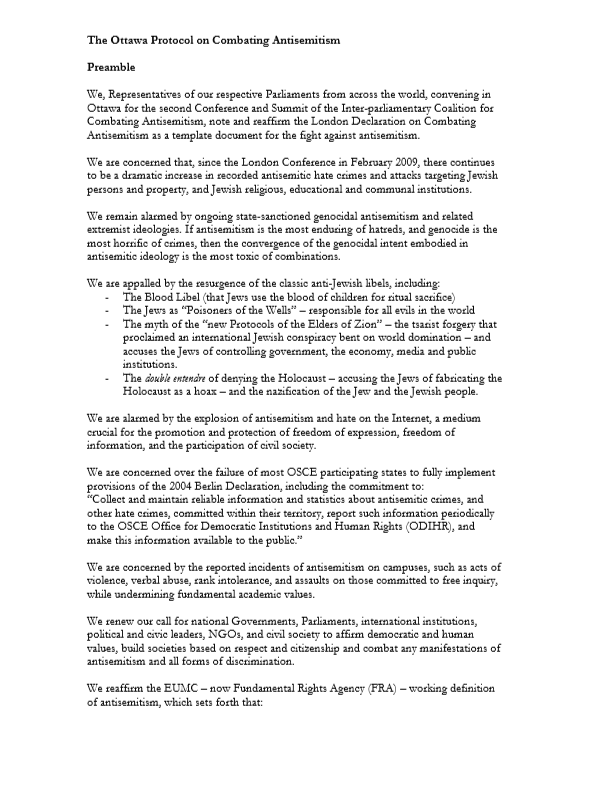 The accompanying policy document outlined incidences of antisemitism across the continenet. 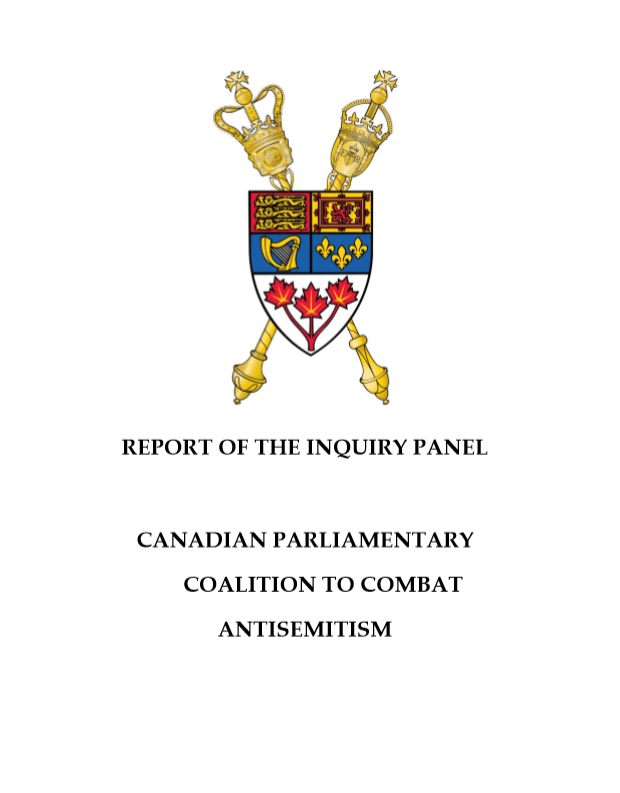 The Canadian Parliamentary Coalition for Combating Antisemitism (CPCCA) released a report into antisemitism in Canada following a period of inquiry based on the UK All-Party Parliamentary Inquiry model. 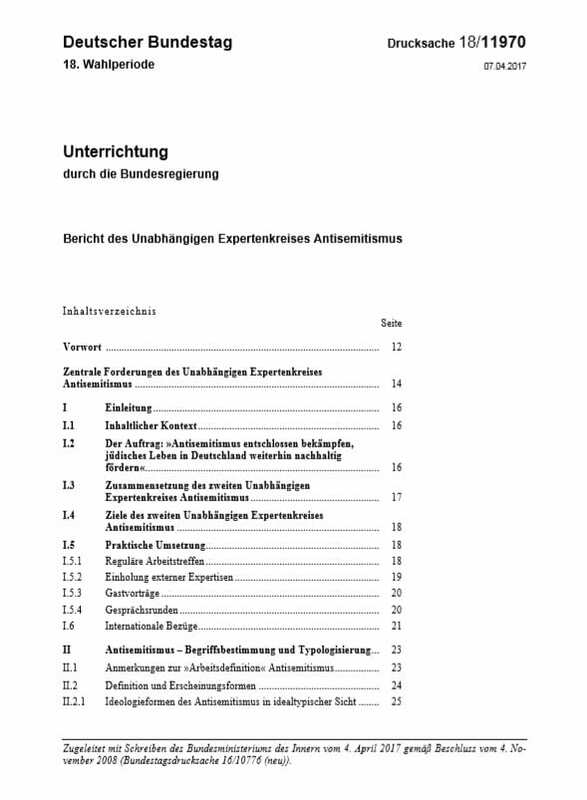 Two expert groups on antisemitism were commissioned by and reported back to the German Budestag (parliament). Both times the UK experience was used to inform the work of the academics and others that constituted the group. Details of the reports are available online. Two joint committees of the Italian parliament investigated antisemitism, taking inspiration from the UK All-Party Parliamentary Inquiry into Antisemitism. CEJI- A Contribution to an Inclusive Europe – an international NGO which works to promote a diverse and inclusive Europe. It works to combat prejudice and discrimination and to promote social cohesion through training, education, dialogue and advocacy. The Commission has funded major projects on understanding and combating discrimination and has been undertaking a lot of work to address cyber hate. ECRI has a number of country specific and other reports which focus, where relevant, on antisemitism. ENAR produces reports which provide material to fill the gaps in official and academic data relating to racism in the EU and its member states. Useful guides can also be found on its website. FRA has produced numerous reports on antisemitism in the European Union which can be found on its site. FARE is an umbrella organisation seeking to unite groups and individuals wishing to combat inequality in football and use sport as a means of social change. IHRA is an intergovernmental body with the purpose of placing political and social leaders’ support behind the need for Holocaust education, remembrance and research both nationally and internationally. It passed the international definition of antisemitism further details of which are on the IHRA site. ODIHR spearheads the OSCE’s efforts to provide support, assistance and expertise to participating States and civil society to promote deomcracy, rule of law, human rights and tolerance and non-discrimination. It has carried out work on antisemitism and other hate crime. ODIHR has had input from the Antisemitism Policy Trust, examples are available online. The Ottawa Protocol was a successor publication to the London declaration agreed at the ICCA's second major conference in Canada. The ICCA's third international conference took place in Berlin and was addressed by the German Chancellor. The founding document of the ICCA network, the London Declaration set out a number of resolutions resulting from the ICCA's inaugural conference in London. World leaders and parliamentarians from across the globe have signed the declaration. 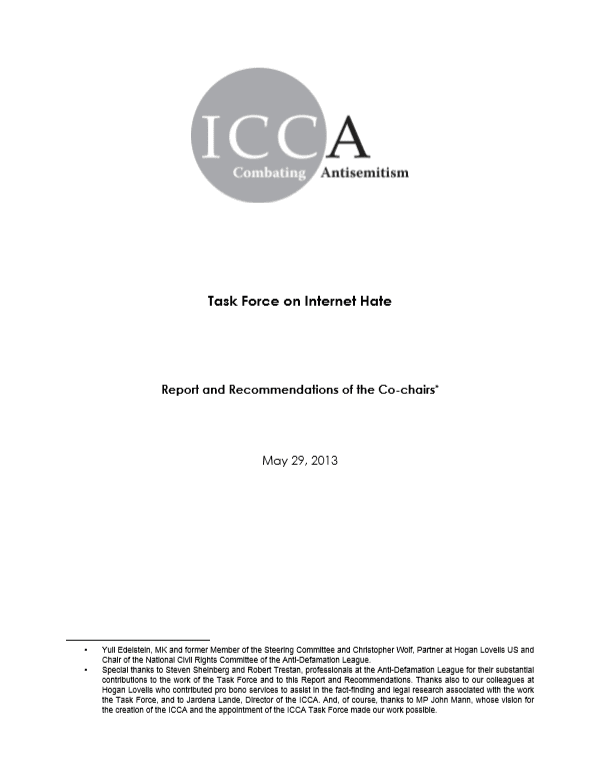 The ICCA established an Internet Hate Task Force. This consisted of parliamentarians together with leading experts in the field of countering cyber hate and representatives of the internet industry. That task force inspired the creation of a permanent Anti-Cyberhate Working Group which unites all interested parties in a common effort to address cyberhate in a collaborative working environment. The task force report was published and an agreement on 'Best Practices' emanating from the Working Group was published by the Anti-Defamation League. As part of its activities, the ICCA held a policy conference in Europe. 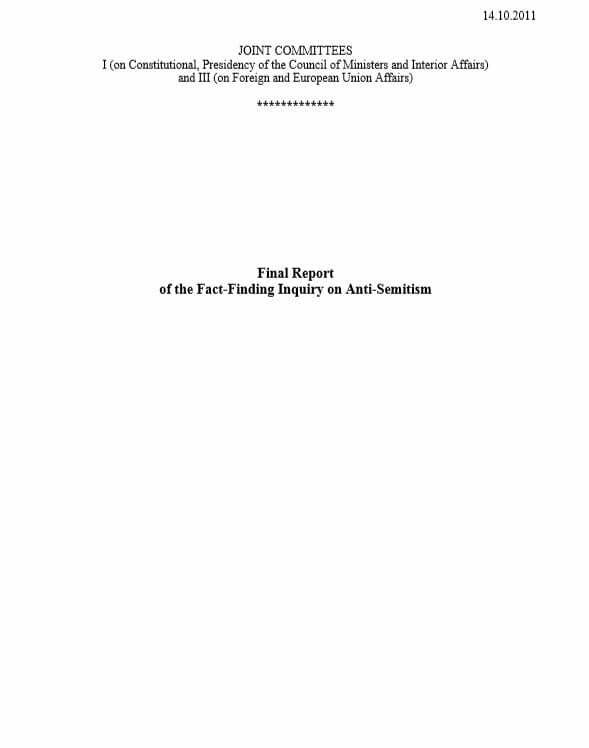 The accompanying policy document outlined incidences of antisemitism across the continent. Two expert groups on antisemitism were commissioned by and reported back to the German Bundestag (parliament). Both times the UK experience was used to inform the work of the academics and others that constituted the group. Details of the reports are available online.